The name Aphrodite, in fact, means “foam born.” She was the most ancient goddess in the Olympian pantheon therefore making Paphos famous. Dig deep through the layers of history and you’ll learn about her birth, cult and many rituals associated with her highly eroticized worship. 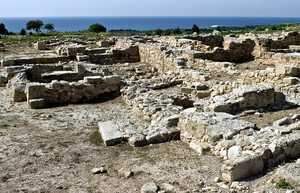 Baths of Aphrodite are situated past the fishing harbour of Latsi towards the tip of the Akamas peninsula north from Paphos. 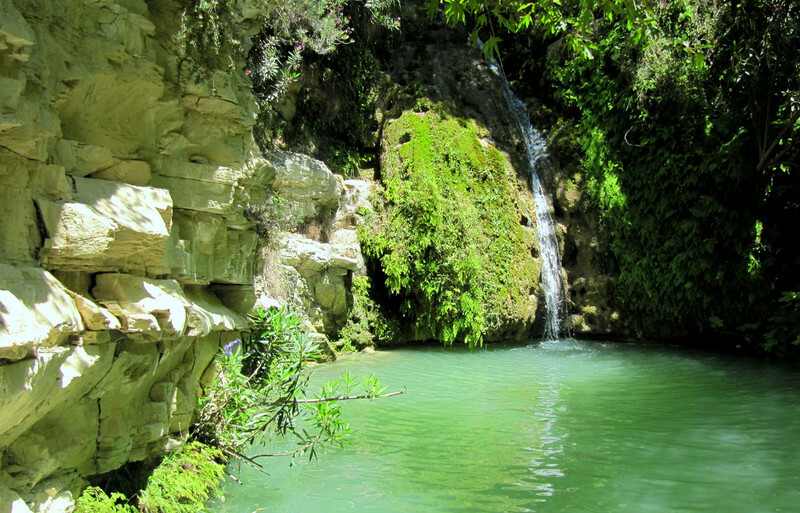 A natural pool grotto surrounded in greenery, where as its name suggests the Goddess of Love used to bathe. Myth also has it that this is where Aphrodite met her lover, the handsome Adonis, when he stopped off for a drink while hunting. The moment he drank the water, Adonis fell in love with the goddess. According to ancient tradition Aphrodite, Goddess of Love and Beauty, emerged from the gentle jade-colored sea foam and then was escorted ashore on a shell by the soft breezes of the Zephyrs at the rocks known as Petra tou Romiou close to Paphos town. (approx. 15 minutes with your car hire vehicle). 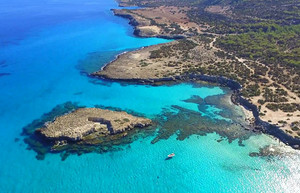 Start your trip at Kouklia village and the famously elaborate Sanctuary of Aphrodite – another Paphos landmark – which formed a centre of worship for the whole of the ancient Greek world. Pop into the adjacent museum housed in the eastern annex of a Lusignian medieval mansion to get to grips with the extent of Aphrodite’s profound mythological significance. On return to your car continue your journey to Petra tou Romiou to catch a glimpse of the goddess’ majestic birthplace. (aprox. 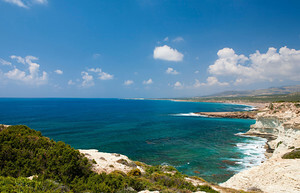 40 minutes car drive east o Paphos). Next stop will be Kourion. 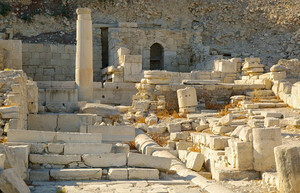 It was an important city-kingdom in antiquity and one of the most impressive archaeological sites in Cyprus. 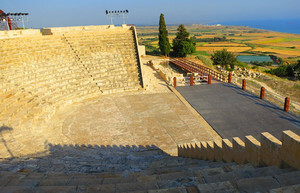 The magnificent Greco-Roman theatre was built in the 2nd century BC and extended in the 2nd century AD. Today the theatre has been completely restored and is used for musical and theatrical performances. Continue east on your hire car journey towards the Ancient Amathus in Lemesos – an archeological site that bears witness to one of the most ancient royal cities of Cyprus and a strong connection to the forever alluring cult of the famous goddess. 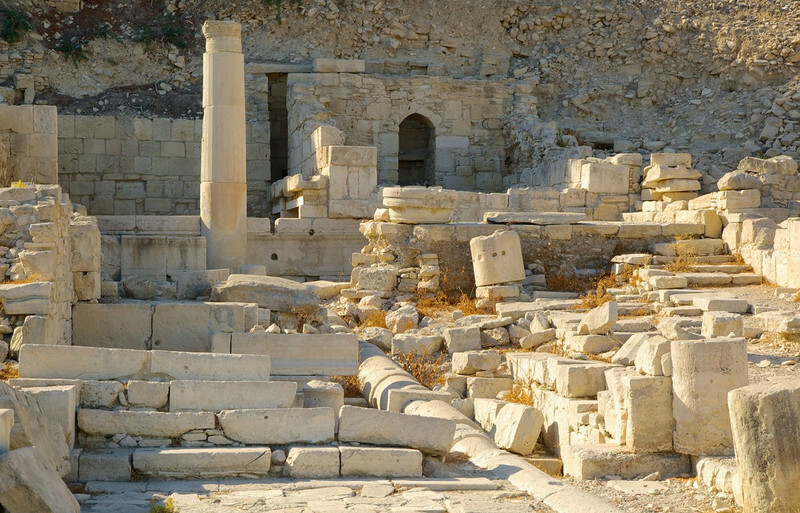 Have a look at the ruins of the temple of Aphrodite and then head down to the Lemesos District Museum to top up your knowledge on the celebrated goddess. Read more about the Troodos Mountains Route and the Paphos Wine Route.